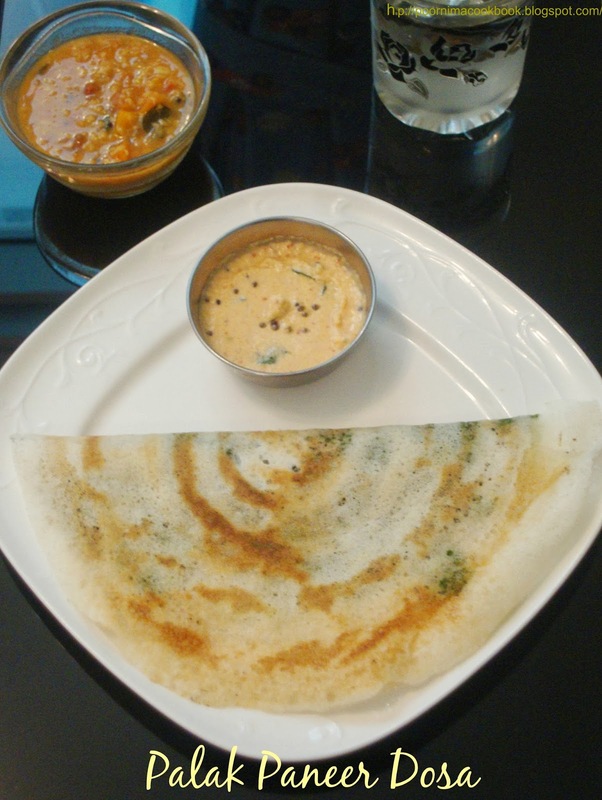 Here is a crispy dosa recipe with a healthy, delicious stuffing consists of palak and paneer. Try this; I am sure everyone in your family will like this, especially your kids! Blanch spinach and green chillies in boiling water. Heat oil in a pan; add cumin seeds after it splutters add finely chopped onion, ginger and garlic. Saute till the colour changes. After that add tomatoes with little salt and sugar. Fry that till tomato melts. Add in all the spice powders and fry for a minute. Once the raw smell goes, add in the spinach green chilli paste. Mix well. Add grated paneer; mix well and switch off the gas. Don’t over boil them; allow to cook for only five minutes in low flame, otherwise the palak colour will change. Drizzle some oil over the dosa, close with the lid and allow it to cook on both sides (in medium flame). Once it dosa is cooked, place and spread a tbsp or more of the palak paneer stuffing according to wish and fold. If you don't want to add paneer; just stop the cooking process with only palak or you can add some vegetables too. 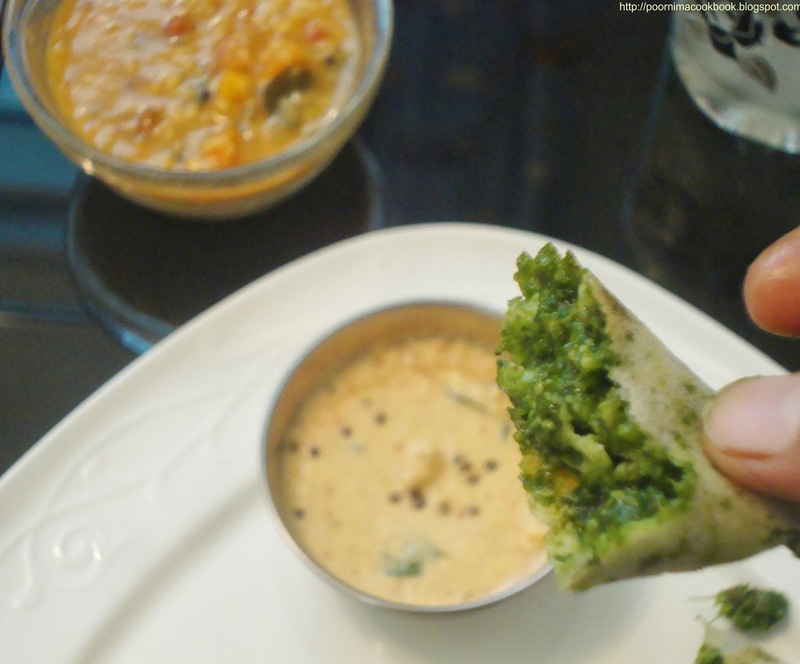 So healthy tasty dosa.What a coincidence ysterday i have also made this Palak Paneer. Palak dosa i know. Palak paneer dosa sounds interesting poornima. This def taste awesome poorni,I had it once .Very tempting and healthy dosa especially for kids . Very yummy dosa, kids would love this, thanks for stopping by, following you back..